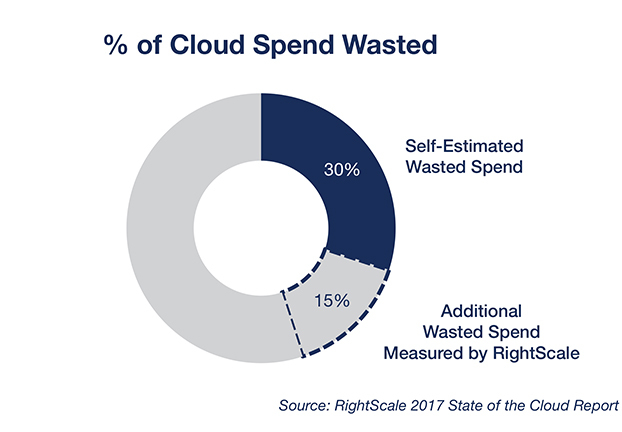 Everyone selling the concept of the cloud inadvertently sums up its adoption with business responsiveness while cutting costs. But perhaps it is worth noting that – even years after cloud gained traction as the new “it” in tech – the extensive (if not complete) adoption of cloud still hasn’t come to fruition. What continues to be not widely known is that this massive dataset that IRRI helped materialize is not “kept” in its HQ in the Province of Laguna. Simply, as a non-profit agricultural research center, it has limited resources, thus capacity. And so – and instead – IRRI moved most of its IT infrastructure to the cloud (specifically Amazon Web Services), which, among others, helped cut its costs by up to 50% by ridding it of the need to invest in a date center, while bettering the center’s functions (e.g. collaborations). IRRI’s use of cloud somehow sums up the appeal of cloud migration. After all, everyone selling the concept of the cloud inadvertently sums up its adoption with business responsiveness while cutting costs. But perhaps it is worth noting that – even years after cloud gained traction as the new “it” in tech – the extensive (if not complete) adoption of cloud still hasn’t come to fruition. 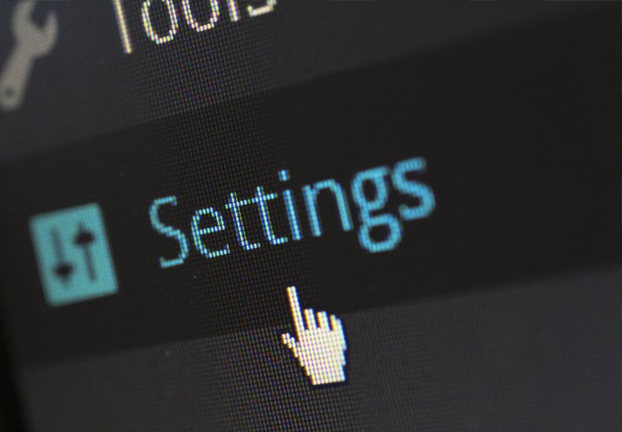 To start, everyone – not just businesses – is already in the cloud, whether one is aware of it or not, with the prevalent use of free email accounts (e.g. Gmail, Yahoo!) and online file storage (e.g. Dropbox) that are in the cloud. But that notion of “knowingly” migrating operations to cloud continues to be rife with challenges. This is not to say that cloud adoption hasn’t been picking up. 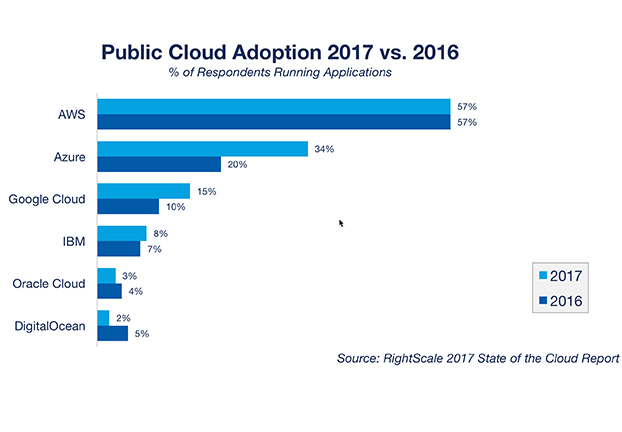 For starters, hybrid (public/private) cloud alone grew from $25.28 billion in 2014 to an estimated $40.8 billion by end-2017. It is estimated to reach $91.74 billion in 2021. As per a survey conducted by Insight with Harvard Business Review in mid-2017, this may highlight the recognition that cloud migration helps businesses increase collaboration (49%), better business agility/flexibility (45%), better end customer experience (43%), empowering workforce/better (internal) user experience (42%), and improve innovation (40%). 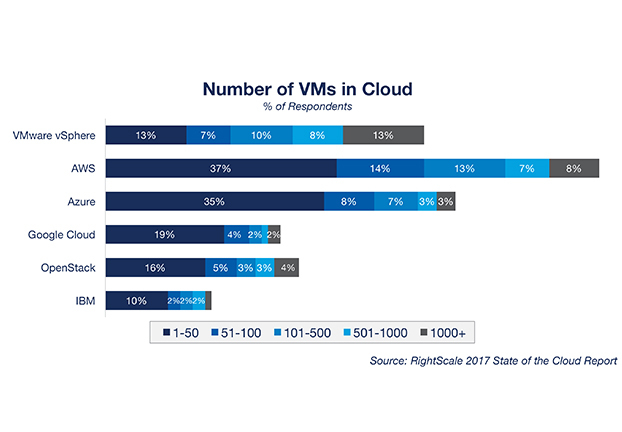 A more extensive look at the state of cloud adoption was done by RightScale, which – only this January – released the 2017 State of the Cloud Report after asking 1,002 IT professionals (48% representing enterprises with more than 1,000 employees) about their adoption of cloud infrastructure and related technologies. In total, 95% of respondents are now using cloud. 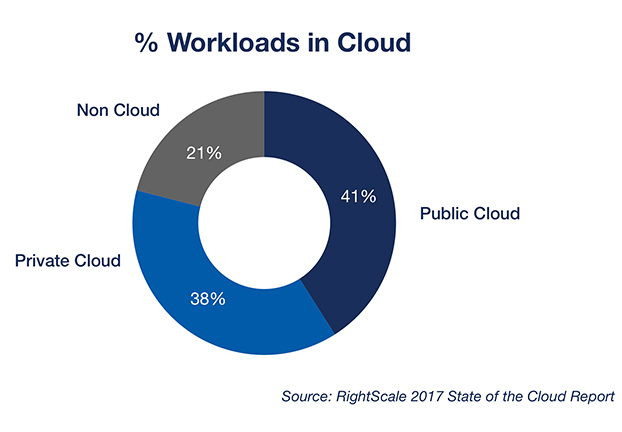 Overall, companies now run 79% of workloads in cloud, with 41% of workloads in public cloud and 38% in private cloud. 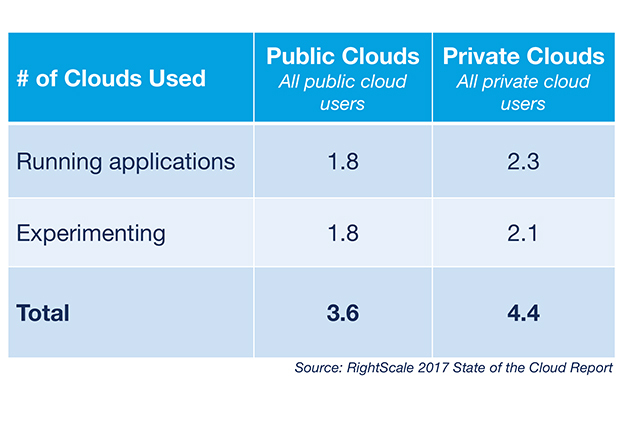 More specifically, enterprises run 75% of workloads in cloud (43% in private cloud versus 32% in public cloud); while SMBs run 83% of workloads in cloud with more in public cloud (50%) than in private cloud (33%). 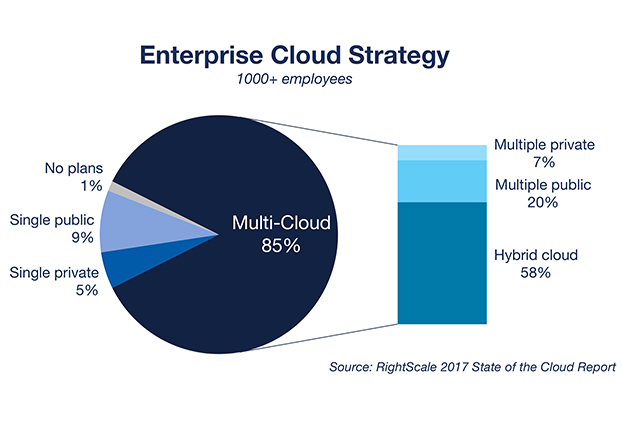 85% of enterprises have a multi-cloud strategy, up from 82% in 2016 (even if private cloud adoption fell from 77% to 72%; and hybrid cloud adoption went down from 71% to 67%). Respondents run 41% of workloads in public cloud and 38% in private cloud. 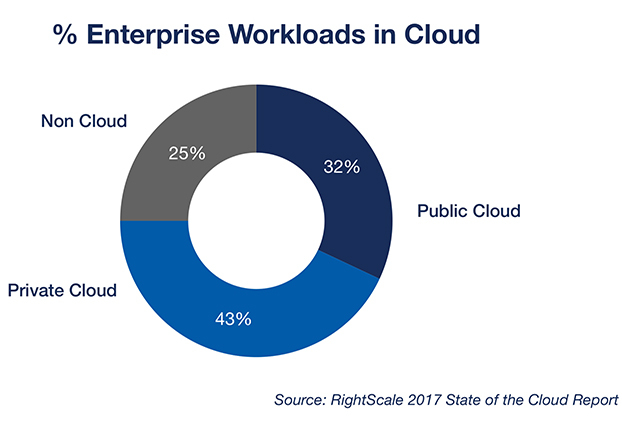 But among enterprises, respondents run 32% of workloads in public cloud and 43% in private cloud. 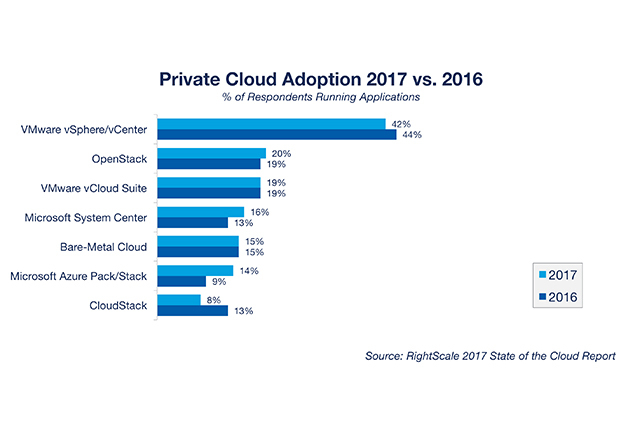 Private cloud adoption fell to 72% from 77%. Use of hybrid cloud environments also fell to 67% from 71%. 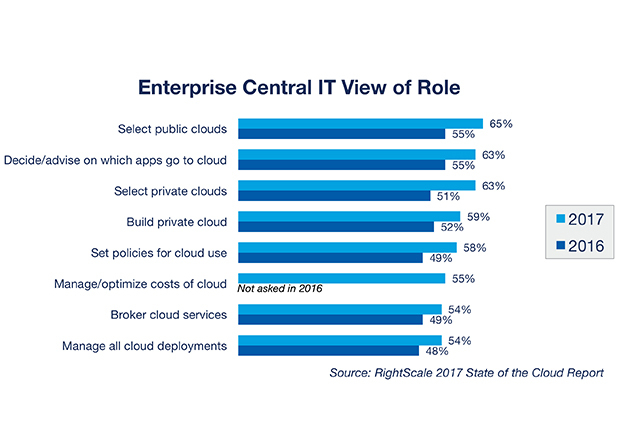 Enterprise central IT has a broader view of its cloud role in 2017, including selecting public clouds (65%), deciding/advising on which apps move to cloud (63%), and selecting private clouds (63%). 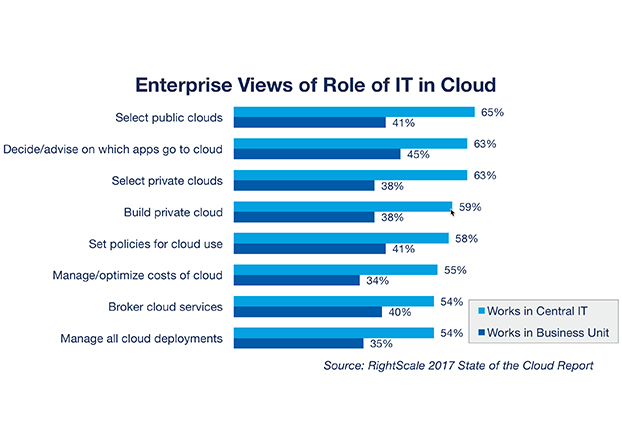 In comparison, respondents in business units are less likely to delegate authority to central IT for selecting public clouds (41%), deciding/advising on which apps move to cloud (45%), and selecting private clouds (38%). 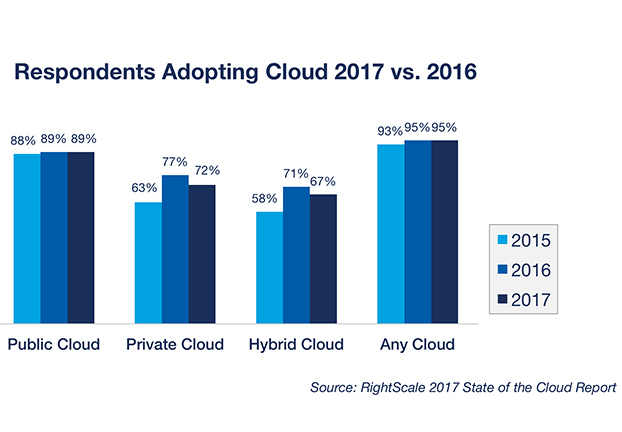 Enterprises that have plans to use multiple clouds grew to 85% from 82% in 2016, with 58% planning on hybrid (up from 55% in 2016. 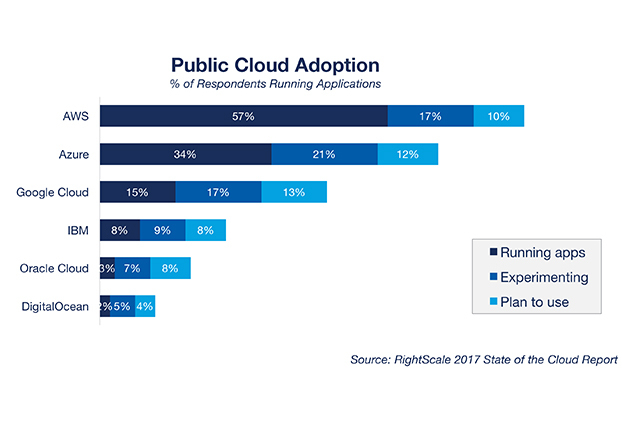 Also noted was the increase in the number of enterprises planning for multiple public clouds (up from 16% to 20%) and a decrease in those planning for multiple private clouds (down to 7% from 11%). Docker adoption surged to 35 percent, taking the lead from Chef and Puppet (at 28% each). Kubernetes adoption also grew to 14%. Azure adoption grew to 34%, and Google to 15%. AWS stayed flat at 57% of respondents. Azure Pack/Stack grew from 9% to 14%, but VMware vSphere continues to lead with 42% adoption. 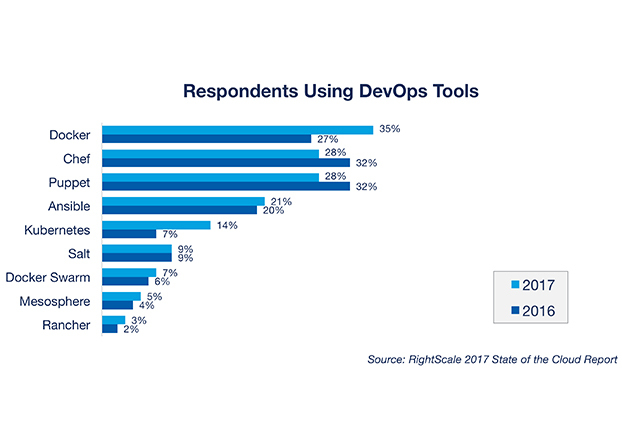 Docker adoption as DevOps tool surged to 35%, leading Chef and Puppet (28% each). 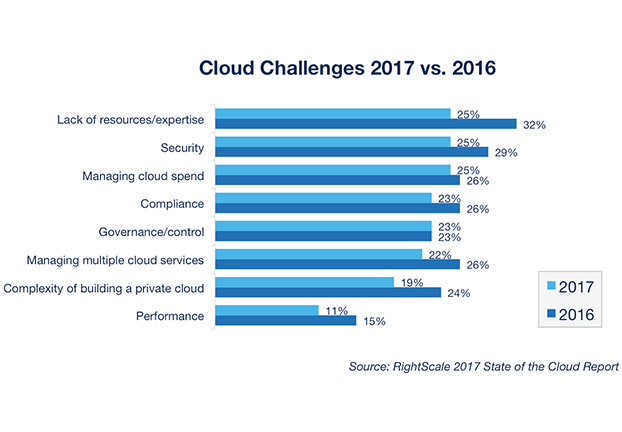 Perhaps signaling maturity, the most cited challenge among mature cloud users is managing costs (24%). In 2016, the #1 challenge according to respondents was the lack of resources/expertise. Concerns about security fell to 25% from 29%. A study from the IBM Institute for Business Value, “Beyond Agility: How Cloud is Driving Enterprise Innovation,” interviewed more than 1,000 respondents from 18 industries around the globe. 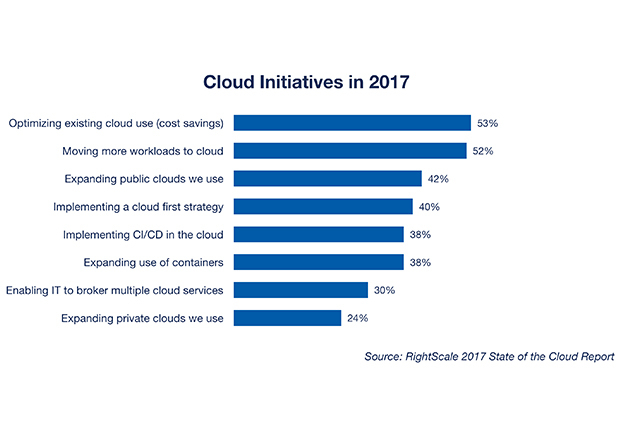 Based on the responses, 71% of the companies are using the cloud to innovate, while 76% of organizations report that their most successful cloud initiative drove expansion into new industries. They are taking advantage of the cloud to create new business models and expand into new industries, while they reduced time to market and improve customer experience. “Cloud enables these innovators to use skills available throughout their ecosystems in order to develop new operating capabilities that shift industry economics in their favor,” Lope Doromal, chief technology officer of IBM Philippines, said to Upgrade Magazine. “While disruption is a less common occurrence than five years ago, there are still companies that use cloud initiatives to radically recast the status quo of their industries, create distinct new business models or assemble unexpected value chains,” Doromal said. 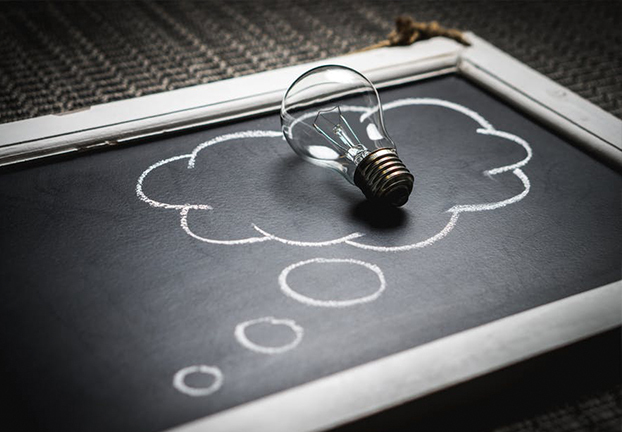 The IBM study also found that putting into place new cloud projects without the support of business departments will “diminish the cloud’s ability to deliver innovations in business models. More than half of the executives surveyed said that their information technology (IT) organizations are most effective when leading cross-organizational cloud initiatives that create IT operations efficiency or lower the cost of the company’s spending on technology. And in organizations where IT departments adopt cloud technology without significant input from various business departments, its effectiveness is dramatically curtailed. Almost half of organizations practice another approach, wherein a dedicated cloud team develops the organization’s cloud initiatives. “This approach can be advantageous, particularly if the governance team includes C-suite, business department and IT executives who view their organization’s cloud strategy as a top business priority and work together to ensure that cloud adoption is integrated with strategic business objectives,” Doromal said. In the estimation of Amdocs ‘, in the APAC region, majority (roughly 70%) of service providers’ workloads will have moved to cloud by 2020, with a mixture of private and public cloud environments, while 30% will remain on physical or virtualized data centers. More specifically, “we’re seeing significant growth in the communications and media service provider industry,” Zeev Likwornik, cloud product line manager and head of Amdocs cloud center of excellence, technology & new offerings, said to Upgrade Magazine. But that some companies continue to have a wait-and-see approach to cloud adoption continues to be apparent. 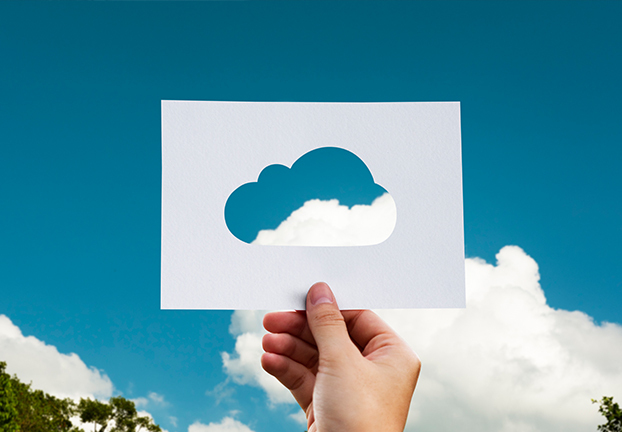 A private cloud is often more cost-effective for applications that tend to have static or nearly static workload patterns. However with applications that have highly volatile workload patterns it is usually preferable to deploy them in a public cloud that can best scale to address unexpected peaks. In some cases, however, a public cloud is too far away physically in order to provide the low latency required for some latency-sensitive applications. And so “for mission-critical applications, it is imperative to select a vendor that offers an innovative yet pragmatic cloud solution. For example, this means leveraging cutting-edge open source tooling, yet carefully evaluating their maturity to ensure they are future-proof and enterprise-ready. 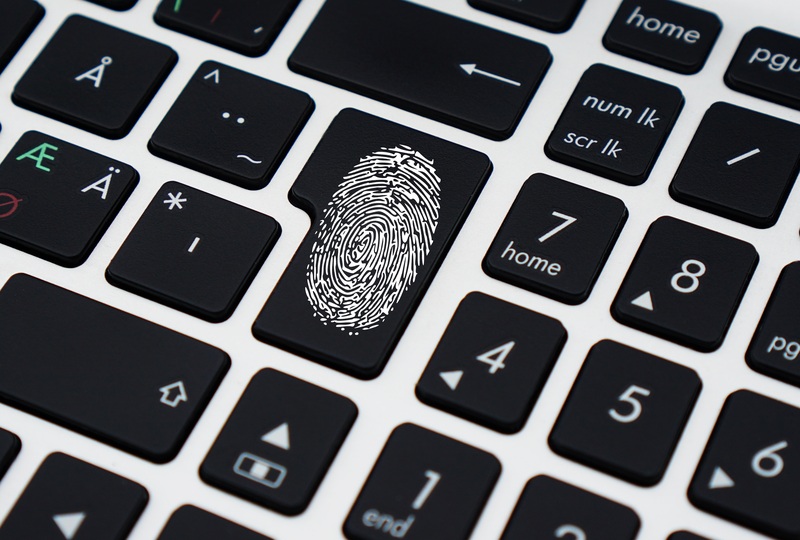 Often there is a perception that there is lower security with cloud solutions, but in fact cloud solutions with correct security implementations are actually more secure than non-cloud (on-premise) ones,” Likwornik said. Additional aspects that a “responsible vendor should take care of include latency implications on latency-sensitive applications, as well as regulatory requirements such as data residency or GDPR, which many in the industry speculate will be embraced beyond just the European Union,” Likwornik added. Visaya added that “we are definitely seeing a growing number of enterprises adopting a hybrid multi-cloud framework which allows the ease of movement across clouds, the simultaneous subscription to multiple cloud providers, and the mixed use of cloud and on-premise resources. 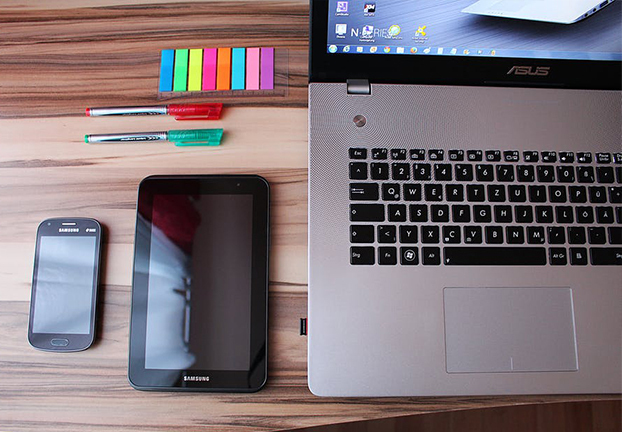 Such an environment gives organizations the freedom to deploy any application, anywhere as companies are not locked-in to a specific vendor and are able to utilize a diverse range of infrastructure, software and hardware. A hybrid, multi-cloud architecture also limits operational downtime emanating from IT failure and reduces the risk of data loss. Step 1: Know exactly what you want. “What do you want to use the cloud for? For your company’s email communications, payroll and timekeeping, disaster recovery, hosting your apps or other systems? By first figuring this out, you can then streamline your requirements,” Yutuc said. IPC Cloud Servers powered by Cloudsigma has tools that can help businesses migrate their on-premise servers to the cloud. On the other hand, there are also available tools where, instead of totally migrating all servers to the cloud, a DRaaS model can be setup, either the on-premise equipment or the cloud becomes the primary server then the other segment becomes the recovery site. IPC similarly has Google Cloud (formerly Google Apps for Work) – this is Google’s enterprise version of their free Gmail (no more using mybusinessname@gmail.com); Salesforce.com CRM, a customer relationship management software; IPC Paycheck, a cloud-based timekeeping and payroll solution; and IPC Voices, a cloud-based contact center solution for the SME call centers. 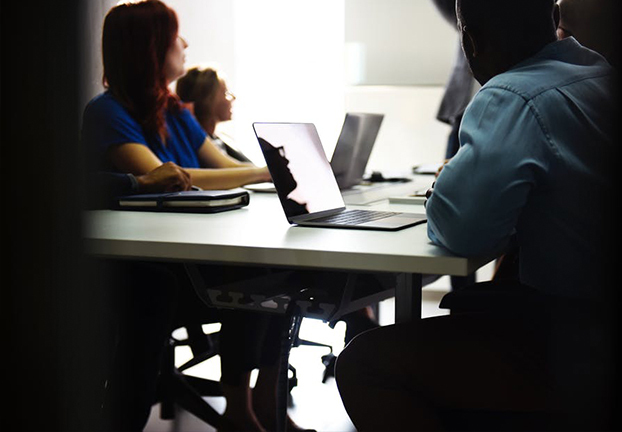 “The challenge is no longer in the IT level as IT professionals from programmers to CIOs and CTOs are already aware of the benefits of the cloud. Right now, what’s hindering this shift is in the management and business development level because there is still a level of apprehension towards cloud computing, which is completely understandable,” Yutuc said. For Wood of VeloCloud Networks, the primary inhibitors to cloud migration are security, Internet reliability and application performance. 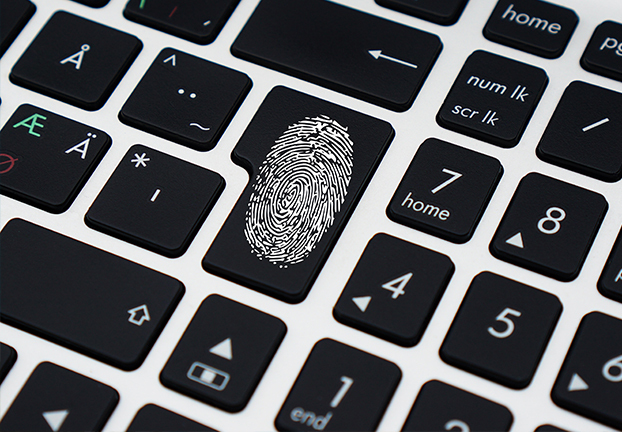 “With security, companies, businesses and Enterprises will gain confidence when the vendors offering cloud services align and integrate with best-in-class cloud security solutions to enable a secure, simple, and seamless cloud deployments. In regards to Internet reliability, complete or partial reliance on the Internet for business critical and real-time applications is a detriment to the company as it results in sub-par unpredictable reliability, which includes network brownout and blackout conditions. Cloud application performance is very often negatively impacted by the non-deterministic, network impairment riddled and throughput constrained Internet at the first, middle and last mile. Companies demand the 100% business continuity that is derived from reliable connectivity, deterministic performance, exceptional reliability and fully functioning, secure applications,” Wood said to Upgrade Magazine. For Wood, using technologies like Dynamic Multipath Optimization, Cloud-Delivered SD-WAN mitigates these apprehensions and dramatically improves application performance over the Internet, doing so safely, securely, and quickly, which enables enterprises to seamlessly migrate to the cloud. We are seeing a deluge of data – Not just the amount, but types of data… it’s pictures, videos, sensors, heartbeats. Particularly at an industry level, there is a need for digital transformation. Industries are being disrupted and are converging. There is a journey to transform, with enterprise first adopting hybrid solutions, and then moving to public cloud. 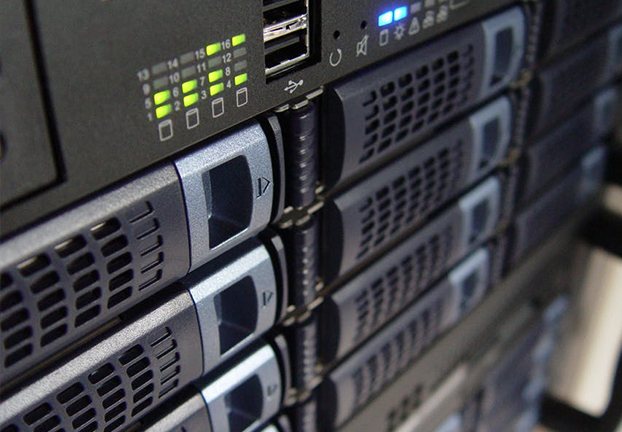 80% of data is on premises today, eventually 80% will be in the cloud. But even as cloud adoption matures and expands, surveyed organizations expect that about 45% of their workloads will continue to need on-premises, dedicated servers – nearly the same percentage as both today and two years ago. Also, as this journey progresses, basic cloud infrastructure services become commoditized, and value-added services are increasingly important, specifically: analytics, cognitive, and developer tools. And so this is a race for value, not for size, favoring those who can deliver the best data analysis to help enterprises harness all of their data. How does a leader make the right cloud choice? It must be enterprise strong. A strong public cloud for flexibility and economics, a private cloud for those who want to keep sensitive data on-premise for security or regulatory reasons, and hybrid options for those who want to leverage existing investments and take advantage of public cloud. It must possess a data-first architecture. Allows businesses to extract data to gain insights from it. That means any organization can easily combine public, private, and licensed data, and control the data control with locality, as well as isolation (so data doesn’t co-mingle). It must have cognitive at its core. Cognitive draws actionable insights from data and in doing so, helps to transform and personalize the customer experience. “Every company’s data workload will continue to grow at a rapid pace. That only elevates the importance of its cloud solution choices. The most successful leaders will consciously consider these characteristics to move their companies faster and further into the future,” Doromal said. And cloud providers are continuously ramping up solutions to deal with existing and emerging issues. Meanwhile, VeloCloud prides itself as “the global leader in Cloud-Delivered SD-WAN (Software Defined Wide Area Network) solutions.” VeloCloud Cloud-Delivered SD-WAN enables Enterprises to securely support application growth, network agility, and simplified branch and end-point implementations while delivering optimized access to cloud services, private datacenters and enterprise applications. Global Service Providers are able to increase revenue, deliver advanced services and increase flexibility by delivering elastic transport, performance for cloud applications, and integrated advanced services all via a zero-touch deployment and operations model. Both Enterprises and Service Providers benefit from the multi-tenant cloud gateway architecture and the ability to support real-time applications over private, broadband and wireless links. With VeloCloud, The Cloud is the Network. The IBM Cloud is built to handle the full variety of data types and can ingest, cleanse and make sense of public/private/licensed and multimodal data. In addition, IBM allows clients to move their data for free across its 50+ global cloud data centers in 20 countries. IBM is also continuing to launch new Watson tools and services to enable easy development of application to solve tough, industry specific problems. Recently, IBM launched the Watson Data Platform, the first enterprise data platform built from the ground up to enable machine learning. Watson on the IBM Cloud is available to more than 200 million consumers to answer questions, find what they need online and make recommendations. IBM Watson also works with the enterprise companies including: Apple, J&J, H&R Block, Medtronic, Memorial Sloan Kettering, Thomson Reuters and SwissRe. It is expected that one billion people will be using Watson by 2017. But VeloCloud sees a broader change happening, as it “sees a shift to cloud adoption by enterprises in every industry with a distributed presence and who require business agility, centralized IT control and a desire to slash unnecessary CAPEX and OPEX costs. Some industries, however, are moving at a faster pace than others, such as retail, construction, manufacturing, professional services and financial services,” Wood said. In the case of IBM, some industries already making use of IBM Cloud Industry Solutions include: aviation (to streamline aeronautical decision-making with aviation and inflight weather data); banking (buil secure, innovative financial services applications); gaming; energy (improve energy demand predictions with superior weather forecasts); government; healthcare (re-imagine healthcare delivery using agile, data-driven solutions); media and entertainment (deliver engaging digital media experiences); retail (modernize IT to power retail transformation); and telecom (grow business with differentiating services). “It is said that digital transformation is a journey, not a destination. Every company has a different route and is at a different place in that journey. Many companies are exploring ways to scale private cloud deployments by embracing open source. Others, while moving mission critical workloads to the public cloud, are struggling with the need to keep latency low and maintain security controls. There is also growing tension between new cloud-based app development models and traditional IT approaches that needs to be resolved. Underlining all of this is the need for consistent application management and policy regardless of where the app lives and who owns it,” he said. 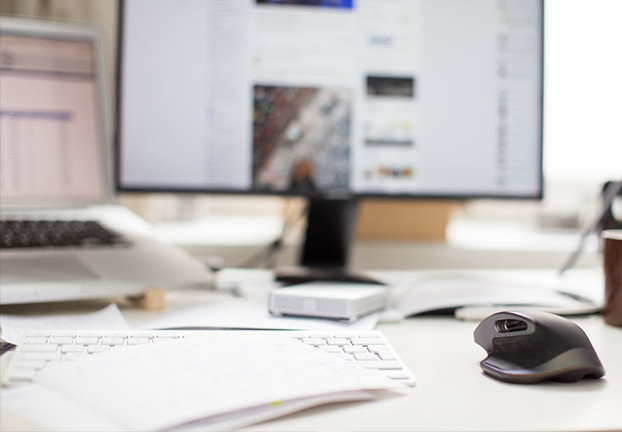 Visaya noted that a wide range of businesses, including SMBs, are moving into the cloud, with most of them operating in hybrid cloud environments. But most of the ones rapidly adopting cloud are unregulated industries such as retail and manufacturing. Businesses involved in manufacturing leverage the cloud for business support, HR, some manufacturing operations and logistics.